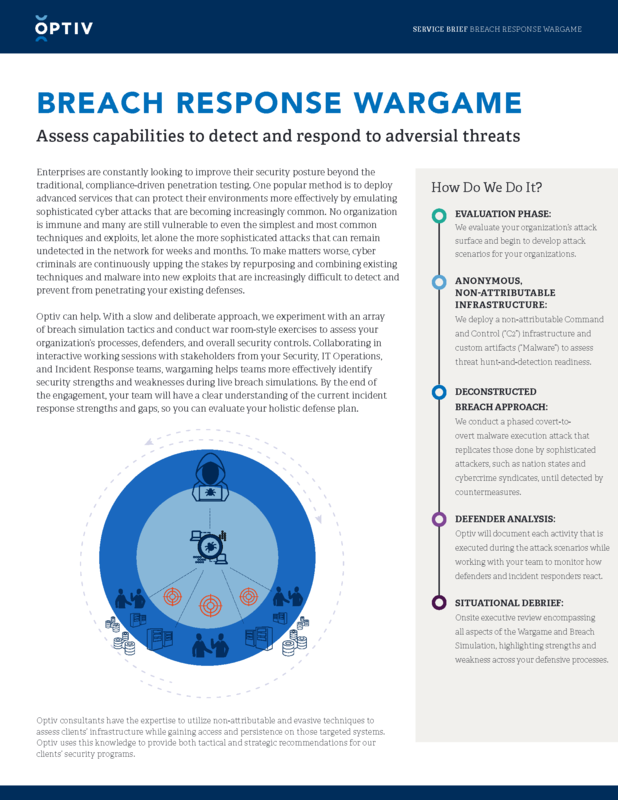 Optiv’s Breach Response Wargame service allows your organization to evaluate the effectiveness of your Computer Security Incident Response Team (“CSIRT”) though a phased breach simulation. Our attack specialists will employ a staged approach that emulates various threats, such as nation state, organized cybercrime syndicates, and hacktivist groups up to the point of detection. Post detection, Optiv will monitor your defender’s abilities to kill the attack chain in real-time.